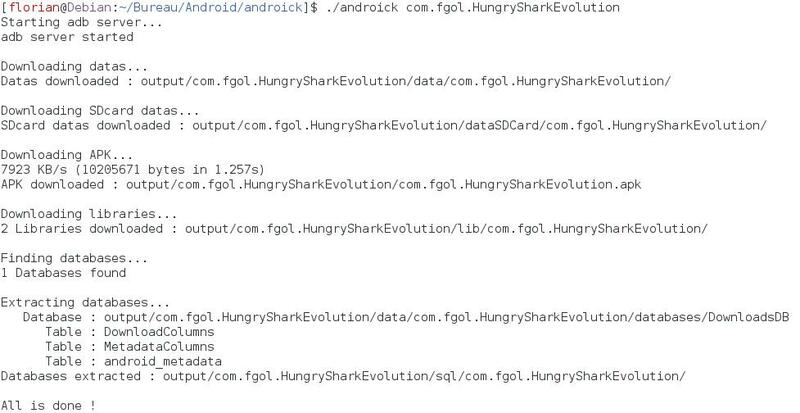 Androick will help you in your forensics analysis on android. 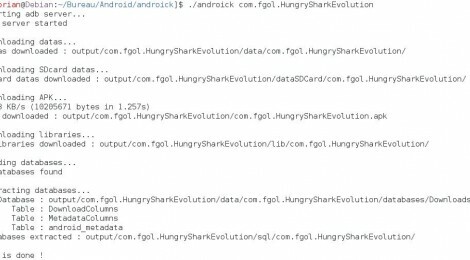 put the package name in argument of the application, and the program will download automatically all datas and apk file stored in your android device. furthermore, after downloading datas, the application will search and extract (in CSV format) all databases. ← Update JBrute v-0.93 : Open Source Security tool to audit stored and hashed password.